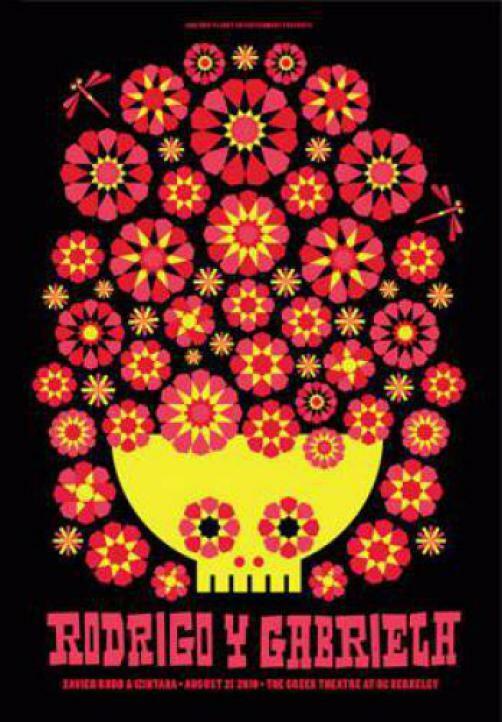 Original silkscreen concert poster for Rodrigo y Gabriela at The Greek Theatre in Berkeley, CA in 2010. 3 color screen print. 16.75 x 24 inches. Signed and numbered out of only 30!